Fun, feel good & FREE! 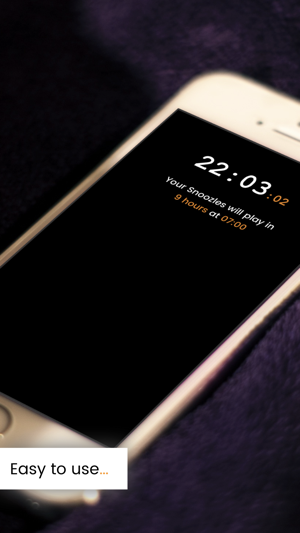 Instead of your alarm tone, wake up to voice messages from the people you follow at the time you’ve set your own alarm! 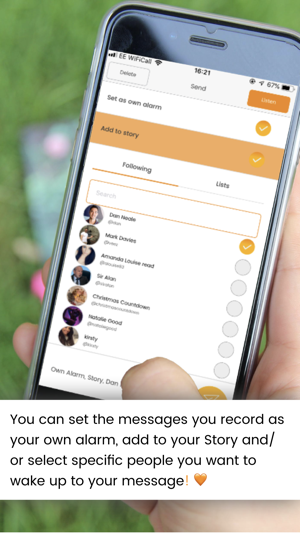 You can follow your FRIENDS and CONTENT CREATORS. The voice messages you wake up to delete themselves after you have heard them, meaning your morning wake-ups are different every single day. 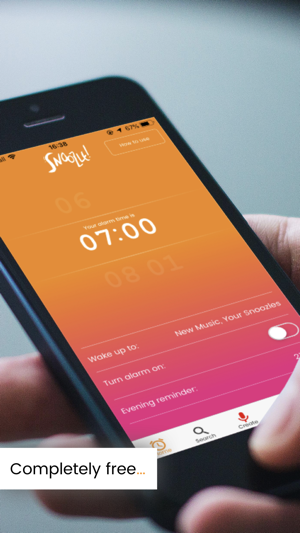 So you’ll never get sick and tired of your alarm ever again! 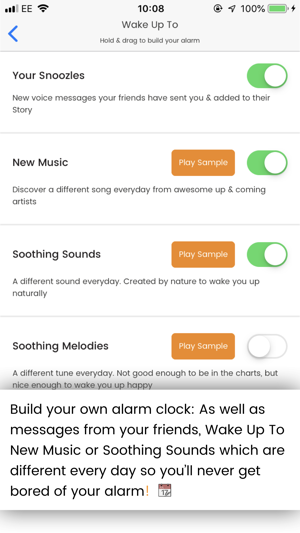 Discover up & coming content creators, or add soothing sounds to your alarm clock with the new 'Wake Up To' feature. 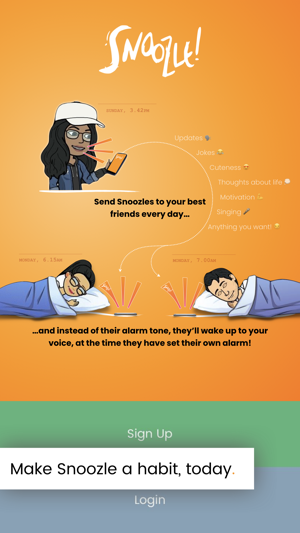 Make using Snoozle a habit with your friends, and you'll all wake up easier and happier. 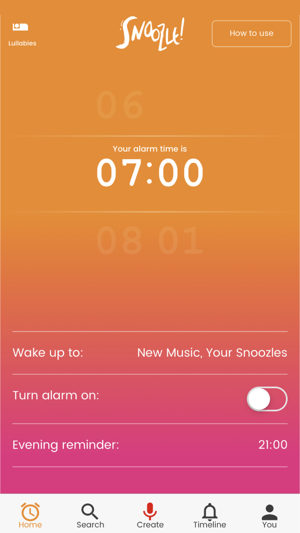 Getting up in the morning just became awesome. 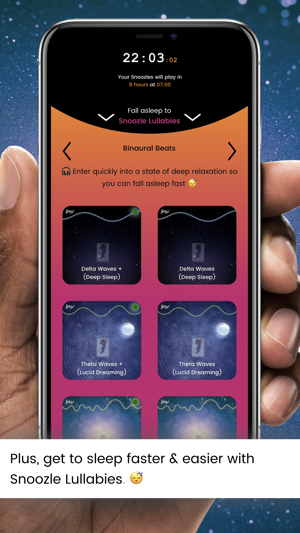 Check out Snoozle Lullabies within the app too if you're looking for some help to get to sleep faster. they include Binaural Beats, Chakra Meditation and soothing sounds from Mother Nature. - Fixed issues with recovering and changing passwords. Heard about this app through a good friend. 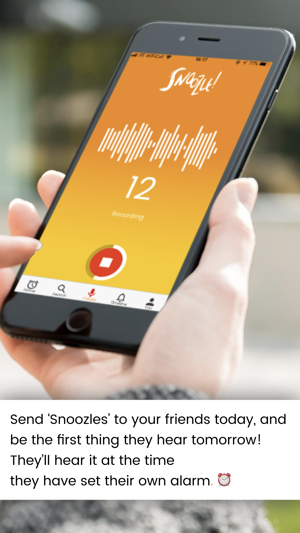 It basically let’s you send voice messages to your mates throughout but the messages play as their alarm in the morning..
It’s pretty hilarious waking up to your mates messages... plus it actually gets you out of bed! 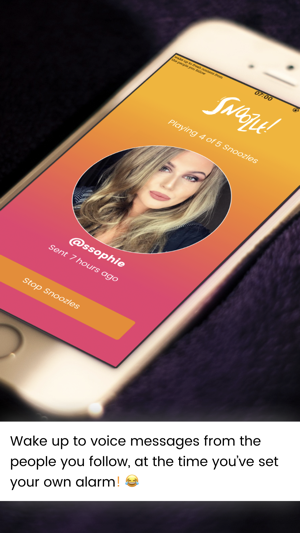 That's brilliant to hear, thanks so much for the review and the positive feedback!